Choosing the right ring for you, your lifestyle, and your budget shouldn’t be so challenging. At JustMensRings.com, we are committed to providing a wide selection of designer wedding bands so you can celebrate the happiest day of your life without sacrificing style. 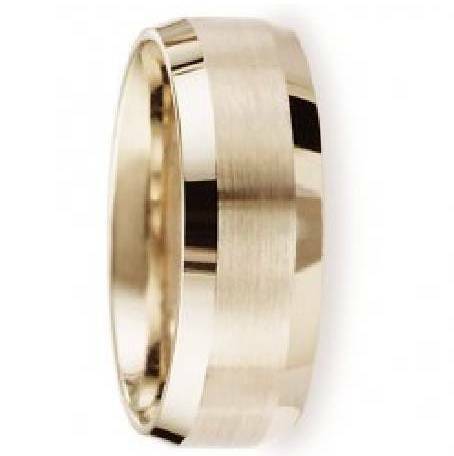 The 8mm men’s beveled edge satin finish comfort-fit 14k yellow gold wedding band is a treasure to behold. Looking for a timeless classic to set you apart from the crowd? Look no further. This designer wedding ring is elegant and yet utterly masculine. The 8mm comfort-fit band utilizes extra metal to create a slightly domed profile for all-day comfort. This type of wedding band is especially useful for grooms who work with their hands all day or need a ring that can easily squeeze over a large knuckle. 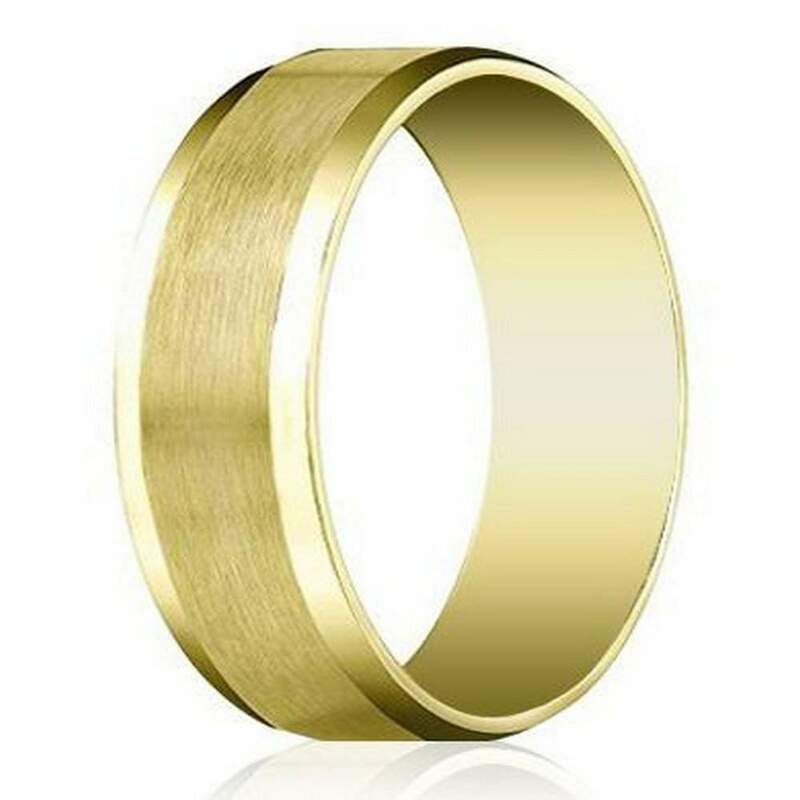 The 8mm men’s beveled edge satin finish comfort-fit 14k yellow gold wedding band is ideal for the modern man who appreciates traditional designs. Comfort-fit rings typically measure a half-size smaller due to the additional metal. We recommend having your finger sized by a professional at your local jewelry store so your ring fits perfectly upon arrival. The satin polish adds the perfect amount of sheen and dimension to accessorize your everyday ensemble. Explore our inventory to find the perfect forever ring. Have questions? We are here to help! A member of our team will help find the information you’re looking for and answer any questions you may have.